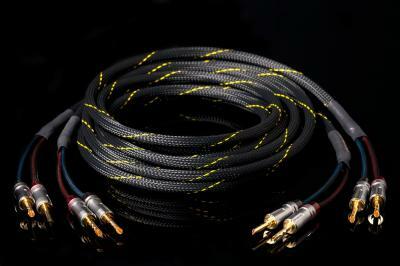 Diamond 1 : Speaker cable Now better entry-level. a product already excellent with new beautiful and important banana which increase performance absolute. this new product is now as the real bust buy. Exclusive technology VRC 4 (4 times copper cooked ? no other manufacturer uses this unique machining). Spectacular Design designed by studio Ciobotaru Design. Amazing to find a product in this price of this quality.